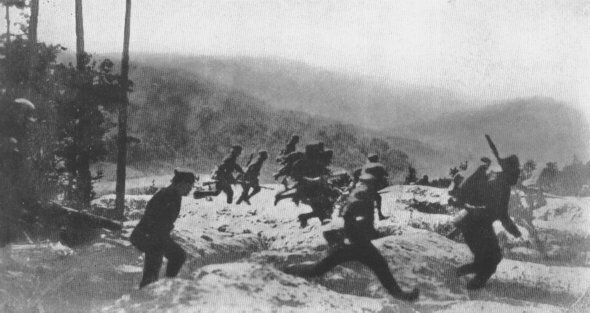 THEY'RE ON THE RUNThe Germans met something new--American rifle fire that killed at 800 yds. On the June drive toward Paris, the Germans captured 55,000 prisoners, 650 guns, and occupied 650 sq. m. of territory, from which they are being driven. THESE DID NOT RUNFearless Prussians--there were many such--met bayonet with bayonet and died that way defending this trench mortar position at the edge of a wood north of Cierges, Aug. 13. 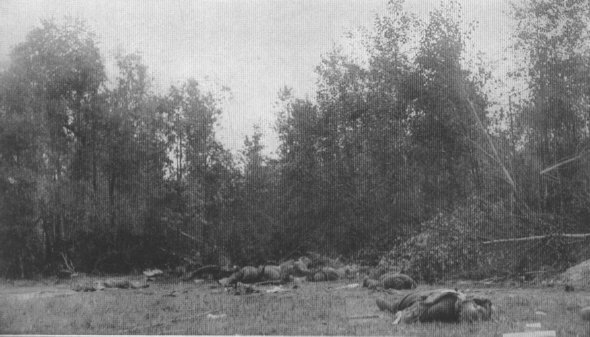 The 125th Inf., 32nd Div., captured the position.